Our aim is to make your business park, car park or retail park as safe as possible for your users. We grit road and paved areas during the winter period when there is a risk of ice by providing cover to respond to weather conditions. Decisions are based on road and air temperatures, and gritting is suggested whenever surface temperatures are near freezing. Other factors like moisture, heat retention and time of day or night are also taken into consideration. 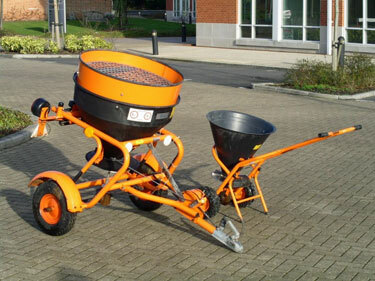 Our skilled gritting operatives make controlled applications of grit. This is particularly important in green areas to avoid any overspray. The utmost care is taken to avoid contact with parked cars and vehicles. 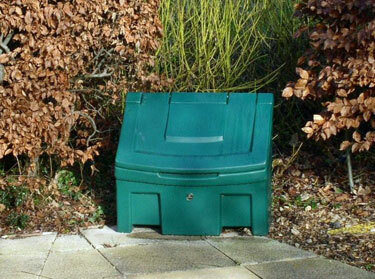 We can also supply and install fully stocked grit bins if you prefer to manage your gritting operation in-house. Click here for details. Cleansweep Services Ltd. Company Reg No: 3836766. National Britannia Safe Contractor: N00027500. Registered waste carrier: TSE/008180.